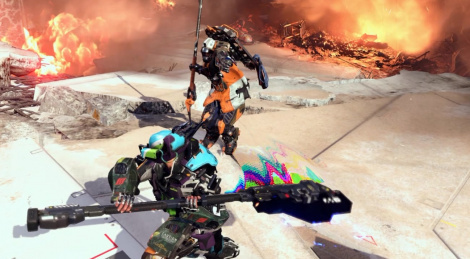 Despite a few flaws, The Surge was one of the games to pleasantly surprise us this year, so we were pretty happy when Deck13 announced a DLC was going to be released in December. A Walk in the Park adds a new area to the original game, with new weapons to try out and new enemies to play with kill. The videos you will find inside were all captured in our New Game +, with a very powerful character that seemed to take the title of this new content for granted. Since we haven't completed the DLC, we can't tell you if it's that easy when playing with a fully upgraded character, but there's a chance it will be less challenging than for those willing to start a new game. It should be noted that A Walk in the Park does not take place after the events of the main game. Looking forward to this, but still at the beginning of Nioh. So many great games this year. And January is packed as well, not to mention the beginning of next year. I agree that the game is very good, and while not at the same level of Dark Souls 1, at moments it feels like it is. 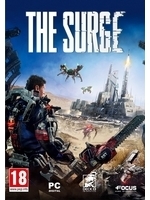 Games like The Surge - well worth playing, but not at the level of the game they cloned - is better to play them now while on vacation and when there's not many other games coming out, otherwise you might just put it off completely. Now I just need From Software to tackle Sci-fi. Preferably a From Software Star Wars game. Megaman 11 HQ video please!! What platform is this? Xbox or PC?